WHY DO SERIOUSLY INJURED TEXANS HIRE US? Joe Stephens is a double board certified personal injury attorney who has recovered millions for clients in his 33 years of settling and trying serious injury and wrongful death cases. At The Stephens Law Firm, we are committed to delivering personalized legal services for our accident & injury clients. As one of the most well known personal injury attorneys in Houston, Joe Stephens is renowned for his assertive and results driven approach. Unlike other injury lawyers who try to settle as quickly as possible, Joe's focus is on ensuring each case is awarded the largest settlement that is deserved based on the harm suffered by the victims. When your case demands a Texas auto accident lawyer that will stand by your side and defend your rights, you can depend on The Stephens Law Firm. Attorney Joe Stephens consistently obtains the highest settlements and jury verdicts in Houston and across Texas. He works for the ordinary person and the insurance companies know his reputation for winning motor vehicle accident cases. As such, most auto insurance companies would rather pay his clients top dollar settlements than risk going to trial and getting “leveled” at the court house. For example, he has obtained recoveries of $10 million, $8 million, $6.5 million, and $2.3 million (after reductions for legal fees and expenses) in some recent injury and wrongful death cases. Joe Wrote the Books on Texas Accident and Injury Claims! As an accomplished Houston accident attorney, Joe has written three books on Texas personal injury law: “A Survivor’s Legal Guide,” “The Texas Accident Bible” and “Hiring the Right Injury Lawyer.” A founding principle of The Stephens Law Firm is that anyone dealing with a personal injury or wrongful death case deserves access to high-quality legal advice. If you've been involved in an accident in Texas, these books are a great resource. Joe has made these books available for free to the public, simply contact his office to request your copy. Have You or a Loved One Been Injured? CALL NOW! 100% CONFIDENTIAL. 100% RISK FREE. When a motor vehicle accident or collision occurs because a driver violated the rules of the road, that motorist and the drivers insurance carrier is liable for paying the medical expenses, lost wages, and for suffering and impairment. Mr. Stephens employs the very best auto accident reconstructionists and will help you get medical care if you do not have health insurance. The liability insurance carrier for the wrongdoer will owe for these expenses, and your payment for these medical providers can be deferred until you receive your settlement. 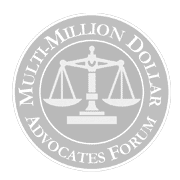 Joe Stephens has been chosen as a Million Dollar Advocate due to his numerous Harrics county court house wins and settlement recoveries in excess of one million dollars for motor vehicle accident and truck accident cases. He is considered the “go to” personal injury attorney whenever the insurance companies consider car accident claims. According to the National Highway Traffic and Safety Administration, (NHTSA) there are about 6,000,000 car accident reports in the United States every year. About 40,000 folks are killed due to catastrophic injury and about 3,000,000 injuries occur due to car accidents. According to NHTSA’s math, about 115 people die each day in car accidents – about one every 13 minutes. Worldwide, about 3,000 people die every year in car accidents according to the World Health Organization. The Insurance Industry reports that folks who hire a car accident lawyer receive about 3 ½ times more money in settlements than they do when they are not represented. (Insurance Research Council Study, 2004). If you compare Mr. Stephen's track record to average injury lawyers in Houston, Texas, you will find that Joe consistently achieves settlements and verdicts substantially higher than the average car wreck attorney. 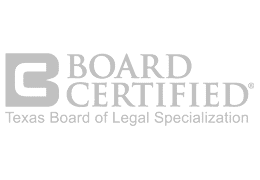 Mr. Stephens has two board certifications dealing with personal injury cases, called the Texas Board of Legal Specialization, and the National Board of Trial Advocacy. Fewer than one percent of the car accident lawyers in Houston, TX have these qualifications. The Stephens law firm will pursue maximum compensation for your Texas car accident and you pay nothing unless we win. It is important that you call now or click below for a FREE CASE CONSULTATION because the wrongdoers' insurance company is investigating the manner in which to defeat your claim while you wait. Truck accident claims are among the most complicated and difficult auto injury cases to pursue since they require experts who fully understand the Federal ans State Safety Regulations and have the experience necessary to handle trucking accidents. While personal injury victims can still seek compensation by themselves, it is advisable to hire a Houston car accident lawyer with experience dealing with trucking accidents. Joe Stephens can offer the required legal assistance you need as soon as possible. So many accidents involving 18-wheeler trucks and commercial trucks are filed every year as a result of negligent truck drivers. The law gives truck accident victims the right to claim compensation if they are injured due to a truck driver’s negligence. If you have been involved in a trucking accident, it will be in your best interest to hire a skilled auto accident attorney as soon as possible. This will ensure that the evidence in your case is safeguarded to increase the chances of receiving compensation. An experienced Houston car wreck lawyer understands the procedure to follow when handling trucking accidents including the technology and regulations used by trucking companies to monitor the driving activities of their trucks. A good personal injury lawyer will be able to put together all this information and build a solid case that will not jeopardize your claim. Truck drivers are obligated to adhere to all state and local traffic laws when driving thus a violation of these laws or reckless driving is an offense. If you have been injured or have lost a loved one as a result of a commercial truck or 18-wheeler accident, we can help. Houston auto accident attorney Joe Stephens will help you learn more about your rights as an accident victim and will also provide proper legal guidance hence you do not have to worry about dealing with the companies by yourself. He will guide you through the entire process to ensure that you obtain a just and sufficient amount of compensation in order to restore your life or that of your loved ones. Read more about our Houston truck accident lawyers at The Stephens Law Firm. Compared to a car accident, a bus accident is more likely to cause severe or debilitating injuries. The reason for that is simple - buses are larger, heavier, and more tightly packed with passengers than a small passenger vehicle. To make matters worse, they lack basic safety features like seat belts. As a result, wrecks involving buses are more damaging to property and, more importantly, to you. Have you sustained severe injuries in a bus collision in Texas? Then, know this: you are entitled to compensation not only for financial damages, but also for non-financial damages. But for this to happen, you must first do two things. One is to file an accident claim, and the other is to win the claim. And as winning depends on an attorney, settle only for a Houston auto accident attorney with experience in both handling and winning bus accident claims. In particular, look at their track record, which should speak for itself. This is important because bus accident claims are more complex than car wreck claims. For starters, they involve many parties bearing responsibility for the crash. These include the responsible party, usually the bus operator - such as a bus company or a local or state government, and the insurance company. Each party tries to deny its role in the collision, and together, they try to deny you compensation. And if you are eligible for compensation, they seek to reduce the final settlement. As you see, this is not a battle to take on without an experienced personal injury attorney in your corner. Under pressure, you end up accepting whatever settlement the parties propose, a settlement that almost always falls short of what you deserve. But that is if you are lucky. In most cases, you receive nothing. Remember, the insurance company has whole departments dedicated to fighting motor vehicle accident claims. 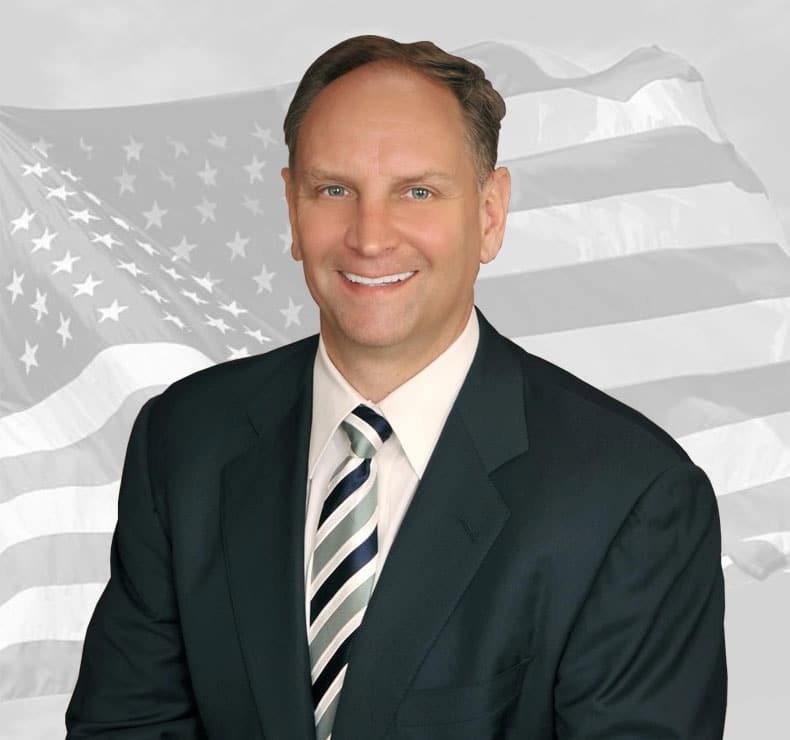 The Stephens Law Firm has fought everyone from bus companies to local and state governments. As a result, we ensure you receive every penny entitled to you. Read more about the Houston bus accident lawyers at The Stephens Law Firm. Of all the causes of car accidents, none is more prevenatale than drunk driving. It is all too common to browse the morning paper or switch on the evening news on TV and be confronted with the news that another young life had been lost to the recklessness of a drunk driver. What makes such situations worse is that they can change families forever even when they could have been avoided if the driver had made better choices. Did a drunk driving accident cause you or a loved one to suffer from a severe injury in Texas? Want to find out what your rights are and whether you have a case? Want justice and compensation for your injuries? Want to stop this from happening to someone else? Call Houston accident attorney Joe Stephens. He will talk to you about your case and let you know where to start. That one call could be priceless. We provide aggressive representation and legal guidance to persons who seek justice after they or their loved ones have become victims of drunk driving accidents. In addition to persons that decide to drive while high on drugs or alcohol, our highly skilled and experienced Houston personal injury attorneys will go after any person that played a role in a fatal car accident or a drunk –driving injury. After being involved in driving under the influence (DUI), we do understand that you would want to physically and mentally heal from the trauma of your injuries. While we sincerely want you to have a speedy and full recovery so that you can go back to living your life, we do know from experience that drunk drivers that are not brought to justice end up causing worse accidents. Persons who drink and drive cannot help but drive erratically, which means that you may suffer more pain when you inevitably run into these drivers. The insurance companies are well aware that victims could get better compensation from drunk driving cases by engaging DUI drunk driver accident attorneys. As such, they will do anything to try to settle the case out of court by paying you less than you deserve before you hire an attorney. If you have lost a loved one or suffered an injury from a drunk driving accident, we have highly skilled Houston car accident lawyers that will go all out to fight and get you the just compensation that you deserve for your loss or injury. We provide DUI accident legal services in Houston and anywhere in Texas, and will stand by your side until you get justice. Read more about the Houston drunk driving lawyers at the Stephens Law Firm. Accidents that occur while operating a motorcycle can be some of the most dangerous and damaging due to the rider's vulnerability. It's not uncommon for motorcyclist to experience traumatic brain injury, back and spine injuries and devastation to lower limbs - any of which could result in a permanent disability or even death. Regrettably, a common cause of these accidents are drivers disregarding proper road use and caution when sharing the highway with motorcycles - a common example is turning right on a red light which can result in a headon collision for the biker. Such inattention to traffic rules can result in life-changing accidents. If such crashes happen, Houston accident attorney Joe Stephens will ensure that the offending drivers are held accountable. You want a legal representative who cares about getting the best legal results for YOUR situation, whether that means pursuing a favorable out-of-court settlement or moving forward to a full trial. 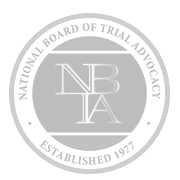 Should your case go to trial, your injury lawyers need to know how to prevent jurors who are potentially biased against motorbike riders from being placed on the the jury. When it comes to cases involving motorcycles, The Stephens Law Firm has got your back. We take up all litigation matters for you! We aggressively contest and fight for your case with one goal in mind: to make sure that errant motorists are held responsible for their negligence. The Stephens Law Firm is zealous about litigating in court for the Houston biker community. Have you been hurt in a motorcycle wreck in Texas? Have you lost someone due to the negligence of a negligent driver? As a motorcycle rider, you have the same legal rights as other motorists. Most motorcyclist know they must be extremely alert and constantly vigilant while driving a motorcycle - scanning the road for distract drivers, those who don't see them, aggressive drivers and other negligence operators. Unfortunately, despite how aware you may be of your surrounds, another driver can cause a wreck in the blink of an eye. It's times such as these that you need the best Houston auto accident attorney on your side to ensure that you are justly compensated by the negligent parties and the insurance companies. Read more about the Houston motorcycle accident lawyers at The Stephens Law Firm. Houston personal injury lawyer Joe Stephens frequently handles motor vehicle accidents and car wrecks that were caused by a distracted driver and those texting while driving. If someone has caused you or a loved one to become injured because they were talking on a cellphone, or texting and driving at the time of the incident, please contact our law office as soon as possible so that I can answer your questions and assist you with possible legal options. A common cause of wrecks the world over is distracted driving and using cell phones will driving. Texas department of transportation research has shown time and again that distracted driving, including using a cell phone while driving, is increasingly becoming one of the main dangers on roads. While police departments across the state work to enforce laws, distracted driving accidents are on the rise. Investigations into some of the worst accidents in Houston show that the driver responsible was involved in one kind of multitasking or another. Whether it is sending text messages while driving, or receiving calls, multitasking can cost you a lot, including your own life or that of another. Victims of car accidents also have to endure a life of trauma and pain. Being a victim of a car accident can be a difficult time in your life. What most victims do not know is that they can take legal action against the perpetrator. If you live in Houston, you're just a phone call away from the auto injury expert. As one of Houston's best car accident lawyers, Joe will not only guide you through the legal process but also help you get the appropriate compensation for the injuries suffered. One of the things an accident lawyer will tell you is that distracted driving is a form of negligence on the part of the offending driver. Car crashes from distracted driving SHOULD NEVER HAPPEN. Some of the common distractions include eating, applying makeup, or even surfing the internet while driving. The good news is that you can get legal redress if you act swiftly. Getting in touch with your accident lawyer immediately the accident happens is crucial. Whether it is you or your loved one, getting involved in a car accident can be a traumatic experience. At The Stephens Law Firm, our attorneys at law ensure that you get compensated for any loss you have suffered due to an auto accident injury. We have a wealth of experience in personal injury cases, and our team is more than ready to find you the best solution in your circumstances. Read more about the Houston distracted driver lawyers at The Stephens Law Firm. Drivers in any big city are expected to respect pedestrians right-of-way, especially when they are jogging or walking the streets in downtown areas. Houston, just like any other big city, has the same expectations of its drivers. Yet pedestrians are hit and seriously injured daily by distracted drivers, drunk drivers or simply drivers that are in too much of a hurry that they cause serious motor vehicle accidents involving pedestrians. Every time a distracted or reckless driver drives through a crosswalk or intersection without taking the necessary precautions, they run the risk of causing a serious or even fatal accident if they hit a pedestrian. When an auto collision involved a pedestrian, the results are all too often fatal. Pedestrians have the right of way in many streets in the state of Texas. Nonetheless, many drivers either choose to ignore this fact, or they are unaware of it. If you or a loved one got injured in a pedestrian accident that was as a result of negligent or dangerous driving, contact us today for a consultation on the way forward. We will file and litigate wrongful death and personal injury lawsuits so that those responsible pay for the wrong they have done to you. You may be entitled to injury compensation to cover all expenses arising from the accident. At The Stephens Law Firm, you'll be working with one of the best Houston car accident attorneys around. And Joe's courtroom prowess rivals any representation that you would get at a much larger personal injury law firm. This combined with a commitment to ensure personal and individualized attention to each client means we provide top quality legal services that our clients love. Our tight-knit team of attorneys often work together on cases. With their combined knowledge and experience, you can rest assured that your case is in the best hands. If you or a loved one has suffered serious injury in a bicycle accident or while trying to cross the street, whether on the crosswalk or any other place, you need to contact a Houston injury attorney. Joe Stephens has nearly three decades of experience litigating serious personal injury cases with unparalleled success. Read more about the Houston pedestrian accident lawyers at The Stephens Law Firms. A defective auto part can turn even the most modern car into a major injury liability for both the owner and other unsuspecting drivers. While it is easy for a manufacturer to overlook a minor defect in your car, failure to fix it can lead to devastating injuries or fatalities. Sometimes vehicle manufacturers issue recalls when they realize that some parts of the cars they make are defective. Getting involved in an accident as a result of a defective car part can easily turn an already serious situation into a catastrophe. If you are the car owner or a pedestrian who has been injured in an accident with a defective car or as result of a defective car part, you may need the help of a qualified personal injury attorney as soon as possible. It is important to seek legal assistance if you have been injured by a defective car component as this can be a very difficult and stressful time in your life. A skilled Houston car accident lawyer will provide you with the experienced representation and personal attention that you deserve. Pursuing the compensation needed by an accident victim to fully recover after an accident in not easy but a personal injury lawyer has the skills required to deal with such cases. You will be able to receive money to cover your medical expenses including damages for your pain and suffering as well as lost wages for the days you were out of work. If you have lost a loved one or you were seriously injured as a result of recall or a defective car parts such as seatbelts, tires or an airbag that failed in an accident, our experienced auto accident attorneys can stand up to protect your rights. A team of skilled lawyers will thoroughly investigate your case in consultation with car experts to determine who is to be held accountable. We are committed to assisting all our clients who have been victims of car accident injuries obtain the full compensation they need to restore their life or that of their loved ones. Read more about the Houston defection auto parts lawyers at The Stephens Law Firm. Is Joe the Best Houston Personal Injury Lawyer? 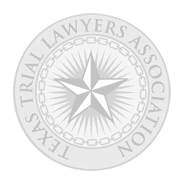 Joe Stephens isn't just a top rated Houston car accident lawyer, he has tried over 100 injury trials in Texas protecting the rights of the poor, the injured, the forgotten, and the downtrodden. His speciality in trying cases to a jury has earned him recognition across the country. He has won many important personal injury lawsuits, including wrongful death, product liability, workers compensation, spinal cord injury, brain injury, and other serious injury cases. 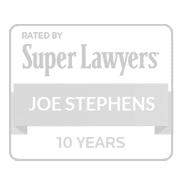 Joe Stephens has been chosen by a blue ribbon panel as a ”Texas Super Lawyer” (2008, 2009, 2010). Only the best lawyers in the country are considered for this honor. The Stephens Law Firm has recovered millions for its clients. Just any attorney will NOT do for a devastating car, truck, bicycle, or on the job injury. These complex cases include negligent security injuries, and require the best Houston accident lawyer who know Texas laws inside and out. If you suffered an eye, burn, brain, or spinal cord injury, or if your are the victim of a wrongful death or dangerous drugs in your family, you or your loved ones may be entitled to damages/financial payment for lost wages, medical bills and emotional/physical pain and suffering. No Recovery, No Fee. Get justice here. Joe Stephens is one of the best personal injury attorneys in Houston, Texas. He has handled hundreds of car accident cases, DWI auto accident cases, and 18 wheeler trucking accident cases. He has successfully tried or handled hundreds of serious injury or wrongful death cases in other areas of personal injury as well both, at trial and on appeal. Some say he is the most qualified injury lawyer in Houston. He has specialized in personal injury law, handling car accident lawsuits in Houston for over 30 years. 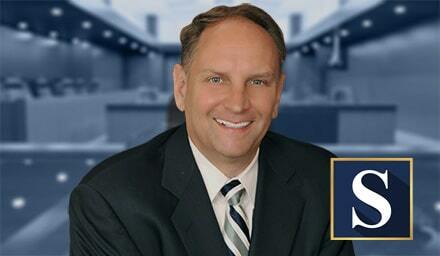 He is double board certified by Texas and National Boards to handle personal injury and civil trial litigation. Mr. Stephens has been selected as a Texas Super Lawyer for well over a decade. He has authored three popular accident claim books, and is AVVO rated 10/10. He has frequently appeared on CNN, ABC, Fox, and NBC as a legal commentator or to discuss his courthouse victories, including the infamous “Clara Harris” wrongful death auto case where she ran over her husband and killed him. Most of his cases, however, are for the ordinary person who has been wrongfully injured due to another motorist or 18 wheeler trucking company’s negligent conduct. If you've been injured, The Stephens Law Firm will be glad to provide you a FREE CASE EVALUATION. If Mr. Stephens takes your case, you only pay for his services out of your recovery. If there is NO RECOVERY, you OWE NOTHING for his services and expenses*. How Do Know I Need to Hire a Car Accident Attorney? Do you have total expected medical bills and lost wages (not just out-of- pocket expenses) of at least $2,000? If a car wreck caused your injuries, is there visible property damage to your car? Did you get prompt medical treatment after the accident? Have you followed the course of treatment recommended by your doctor? Did the accident happen less than 18 months ago? If you can answer YES to each of these questions you need to hire a top Houston car accident lawyer . Contact our law firm for a free consultation today. Sometimes the best advice you can get when you are thinking about a lawsuit is that you do not have a claim that can be won. If that is true, we will tell you. We’ll also tell you when we think you are better off handling a claim yourself – without an attorney. But, if your case passes our test and we accept it, you can be assured that you will receive personal attention. We will represent you aggressively, keep you up to date on what is happening in your case and give you advice as to whether you should settle your case or go to trial. We will explain all fees and costs to you fully before we start working on your case. Together, as a team, we will decide on the best approach for your case. We don’t rely on a high volume of cases generated by massive TV and Yellow Page advertising. We don’t claim to handle every type of lawsuit under the sun. We don’t want to. We don’t need to. Each year, The Stephens Law Firm accepts a limited number of injury and accident cases from the hundreds of people who ask us to represent them. We are not a “TV advertising personal injury mill.” We do not allow paralegals and assistants to negotiate your case with the insurance company. Fewer cases mean more time for you and, we believe, better results overall. Car accident victims often aren't sure if they need to hire an attorney or not. I would advise reading one of my FREE books. Some claims can be handled by you, others require a lawyer. Generally speaking, you should hire an experienced injury lawyer if you feel that you have been hurt and need medical attention of any kind. Injuries that last more than a day or so can be serious and you do not realize it. An insurance adjuster knows this and will try to get you to say that you are not hurt too bad, knowing that many times small injuries turn out to be far more serious injury than you, or the doctors first realized. While you are recovering, the insurance company are gathering evidence against you. How Do I Document My Car Crash? Document every single detail of the accident while it is still fresh in your memory. Get pictures of anything you think may be of importance. Get as much information as possible on the person/company that is at fault – address, phone, insurance policy, driver’s license, etc. Get names and contact information for all witnesses. Keep track of all medical providers you have seen for the injury. Keep all medical records and bills you receive. If someone passed away, obtain the death certificate. How Soon Should I Go to the Doctor? Immediately, even if you are only a little sore on the day of the accident. Even a small impact causes the occupants to sustain several thousand pounds of force, and most folks feel like they have been run over by a train 48 hours after the accident. If you “tough it out” and don’t go see a doctor, or go to the emergency room, you won’t have medical documentation shortly after the accident. The insurance company will likely dispute your contention that the accident caused your injuries. They do it almost every time, even when it is quite obvious that you have suffered car accident injuries. It is important that you continue to see the doctor every time that you hurt so that he can document your injuries, and do the proper testing. What Is Involved In Handling a Vehicle Injury Claim? Usually an insurance adjuster calls wanting a person to give a recorded statement, to answer questions, and to sign some forms. Ignore the adjuster for now! Gather witness names, take photos of the scene, the car, and your injuries. Obtain the police report. Go to a doctor and get regular medical care if you have been hurt. You can take notes and get names of possible witnesses. Even take photographs. If a police report is filed, be sure you get a copy. Once you are able, contact an experienced Houston car accident lawyer to represent you. Can I Handle My Auto Accident Claim Myself? Certainly, you can handle your claim if you have minor injuries where hiring an attorney is often unnecessary. Most Houston personal injury law firms do not accept small injury cases - there simply isn't enough money involved. After an injury attorney spends the money to investigate your claim, pay for copies of your medical bills and records, and charge a fee, you will not end up with much if anything. What I recommend you do if you have minor injuries, or a small property damage claim is to deal with the insurance company yourself. The key is to document everything. Send them all the bills, all the records, provide witness statements, or at least their names, and phone numbers. Take some pictures of your injuries if you are bruised or cut. And most importantly, keep going to the doctor–if you are in pain–so that the medical doctor or chiropractor can document your injuries. Finally, send proof of your lost wages. Gather some check stubs, and a note from your employer and doctor to verify your lost time from work. You will be able to collect a little money in return for a release of your claim from the insurance company. They only make one lump sum payment, so be sure you are healed before signing the release. To find out more about the claims process you can get a FREE copy of my book, The Texas Accident Bible. Just use the "Ask a Question" button below to request your free copy. Or, you can buy a paperback version of The Texas Accident Bible on Amazon.com. No! Never give a recorded stated to an auto insurance adjuster. Insurance adjusters want to take your statement in order to lock in your story. It seems like that is fair, doesn’t it? You want to tell them so they can understand that the other person or company is at fault in causing your injury, don’t you? Well, regardless of how nice this adjuster seems, or how convincing they may sound that you must give the statement, you need to know that you are dealing with a person intent on securing only half of the truth. They are trained to put words in your mouth, and ask you to agree with it. They are trained to ask follow up questions in a manner that will insinuate that you could have done something to avoid the incident. They are trained to minimize the effect of your injuries, and trained to make you feel like you are a “wussy” if you are still hurting with these “sore muscles” and “soft tissue” injuries. But you say, I am pretty smart, and I can deal with this situation. The problem is that you have not been trained in the methods the adjuster uses. Regardless of your answer, the adjuster will come back with follow up questions that help them achieve their goal to minimize the insurance company’s risk, or eliminate your claim. You expect to be as savvy in dealing with an adjuster just the same as someone could not be expected to do your job nearly as good as you can. A good lawyer will not allow you to give a statement (some of the guys you see on TV don’t follow these practices). There is no requirement that you give the statement to the third party insurance adjuster. Hopefully, the lawyer you hire will visit with you in great detail, will completely understand everything about the accident, and will be able to put things in context. He will provide the adjuster all the information they need to know, and most importantly will do it in a fashion, form, and manner that will protect you from the insurance adjuster’s unfair practices. If the case is tried to a jury, your claim will not be destroyed because of the fact that the insurance adjuster has a statement that presents things in a false light, with everything taken completely out of context. Just because you were hurt doesn’t mean you are entitled to compensation. The evidence must show that someone’s negligence caused you to get hurt. If the evidence doesn’t show the other party was negligent, you lose. If you sue the wrong person, you lose. If you wait too long to sue, you lose. If you had an injury BEFORE the accident, then you are only entitled to be compensated to the extent your injury is now worse. In Texas, if you were in any way at fault, you do not necessarily lose. This is known as the law of comparative negligence. This means that if the “other guy” was 99 percent at fault and you were 1 percent at fault, then you are entitled to recover 99% of your losses. However if you are more than 50% at fault, i.e. 51% the law says you do not get to recover anything. Before we accept your case, we must be confident that your actions were not the only cause of the accident. Also, in Texas, except in extraordinary circumstances, you cannot sue your employer for negligently hurting you if the employer carries worker’s compensation insurance. If the employer’s gross negligence results in death, the family can sue, but these cases can be hard to win. I.e. it has been said that it is easier to uphold a murder case in the Appellate Courts than to get them to uphold a “gross negligence” case. Sometimes, several persons or companies are at fault, and a jury gets to decide the percentage of blame against each. If one company such as an employer is to blame, but cannot be sued, the jury can apportion fault among the others in most circumstances. What is PIP Coverage & Do I Have It? PIP is personal injury protection coverage offered by your car insurance company. You have $2,500 of protection unless you rejected it in writing but your insurance coverage may be much higher than that. It is provided even if you were at fault. It pays your medical bills, and 80% of documented lost wages. If you were not employed, it will pay for your essential services that you performed at home, like household duties. You will need to provide an estimate of your total hours you cannot do essential services, and a note from your doctor to collect. Do I Call My Car Insurance If It's Not My Fault? Yes, you should notify your insurance company of the claim immediately, even if it is not your fault. You may have benefits that you don’t know about and are entitled to through your own vehicle insurance claims like medical, towing or car rental expenses. Also, if the person who was at fault doesn’t have insurance, or had a lapse in insurance, you may have coverage for the full extent of your injuries under your own policy. It is often quicker to go through your own insurance company to get your car fixed. Yes, you will pay the deductible up front but your insurance company should get that back from the other insurance company and reimburse you. What Will Your Injury Law Firm Do to Help Me? How Are You Paid if You Take My Case? 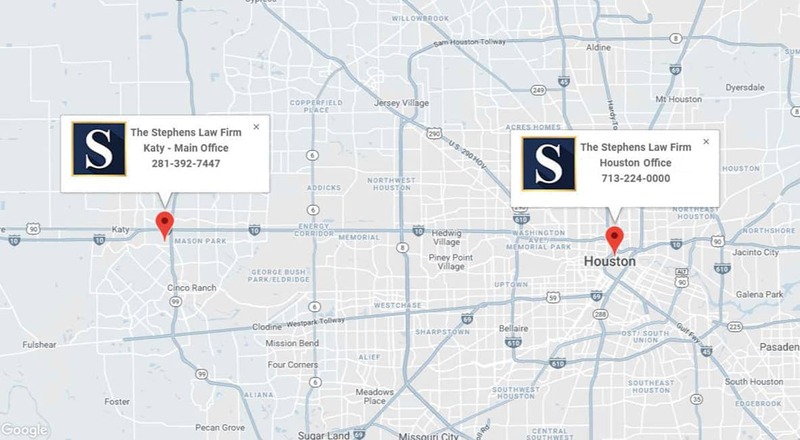 The Stephens Law Firm takes cases in Houston and across Texas involving personal injuries, automobile accidents, or wrongful death on a contingency fee basis. This means that if there is no recovery, you owe me nothing for my services. In criminal cases and family law cases, I am required under law to charge for my time. For this cases I do accept major credit cards. How Are My Case Expenses Paid? In personal injury, auto accident, or death cases, The Stephens Law Firm will advance the expenses of the case and we will be paid back by you when there is a recovery. I look at all cases that we receive; however, we are not a large law firm. Unfortunately, I am not able to help all of the people who ask for and need my help. I look at each case individually as it comes in. If I feel confident that I can win your case then I will offer to help. If I feel I'm unable to represent you for any reason, but I believe you may have a valid case, I will refer you to one of the many excellent attorneys that can handle your case. The value of each case is different and must be evaluated separately. As a top rated Houston car accident lawyer, I take a great deal of time to come to a proper evaluation of your case. The Stephens Law Firm has been evaluating cases and representing people for years. However, you must know that there is never a guarantee of any recovery. How Long Will it Take Before We Go to Trial? Usually, civil cases are tried within 1 to 1 1/2 years. In criminal and family law cases, it varies widely. If There is a Trial Do I Need to be There? Yes, if there is a trial, you must be present. During the course of your case you will most likely have to give a deposition. A deposition is a statement that is given under oath before a certified court reporter. When your deposition is taken we will be there to represent you. If My Case Settles, How Long Before I Receive Money? Typically, once a case is settled documents must be exchanged between both parties of the lawsuit. This process usually takes 30 - 45 days, but can take longer if your case involves special circumstances. Will You Speak With Me Before Settling My Case? Yes, no case is ever settled without your expressed consent. Whenever settlement negotiations are initiated by either party you will be informed and it is only with your full participation, advice, and consent that your case is settled.